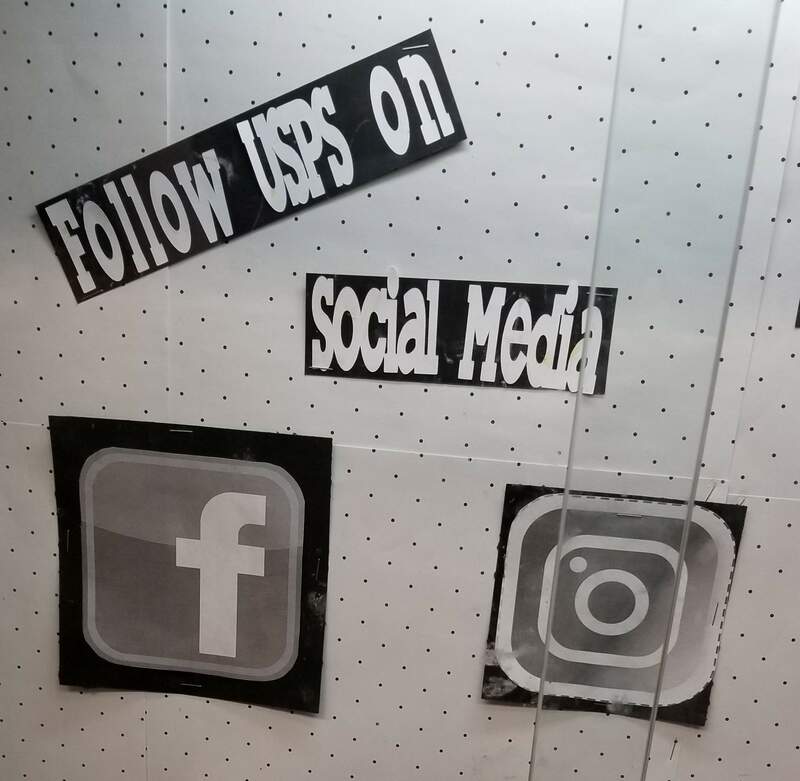 A display case inside the Durango Post Office seeks a stamp of approval from patrons using social media. Why anyone follows anyone or anything is beyond the comprehension of Action Line, who doesn’t participate in such banal digital claptrap. Social media is responsible for the spread of many social diseases. We’re talking isolation, insecurity and bullying – the stuff you can’t treat with a massive dose of potent antibiotics. Not to mention the staggering violations of privacy, the exposure to scammers and all the fake news. Look, if you want fake news, just read Action Line. You don’t need some Russian troll. All your alternative facts are right here. Thus, Action Line looked into why people who deliver mail want to be on your phone. Issued by the Office of the Inspector General, the report was, ahem, quite voluminous. Apparently, it takes 33 pages and 90 footnotes plus Appendix “A” and “B” to offer strategies for sites that demand brevity, or in the case of Twitter, a then-limit of 140 characters. Nonetheless, the USPS Twitter account (@USPS) currently has 112K followers and 1,889 likes. The Internal Revenue Service’s “tax pro” feed, by way of comparison, has 54.5K followers and two likes. Just who are those two people and what are they thinking? But you gotta look at the big picture here. Pull up the “Friend or Follow” website and check out the most followed people or organizations. You’ll immediately see that the Twitter-verse is dominated by entertainers and celebrities. The top three people followed on Twitter have more than 100 million followers each: Katy Perry, Justin Bieber and Barack Obama. Then comes, in order: Rihanna, Taylor Swift, Lady Gaga, Ellen DeGeneres, Cristano Ronaldo, YouTube, Justin Timberlake, Ariana Grande, Kim Kardashian West, Selena Gomez, Demi Lovato and Britney Spears. At 16th place comes the current occupant of the White House, who made Twitter great again by edging out Shakira (ranked 19th) and Jimmy Fallon (20th). He Who Doesn’t Collude also has more followers than Bill Gates (21st), J-Lo (23rd), Oprah (27th). By the way Hilary Clinton is 80th on the list. Never let it be said that President Trump didn’t win the popular vote! H H HThe Mea Culpa Mailbag isn’t exactly Letters to Santa, but it does have some interesting observations to recent columns. Regarding Walmart’s “healthy snacks” aisle featuring Beer Nuts, candy trail mix and “dill-pickle sunflower seeds,” our faithful correspondent Dr. John Griffiths comments: “Good one. I read it twice while snacking on a small carrot and 10 dried chickpeas.”It must be pointed out that chickpeas are neither chicks nor peas. But that’s another matter. Apologies to our good friends Tanner Phelps, who has impeccably good taste despite his fondness for dill-pickle sunflower seeds, which Action Line summarily dismissed as “vile” without ever actually tasting them.Someday, perhaps. Just not now, thank you so much. Let the record show that Action Line relishes fruitcake, Brussels sprouts and formidable blue cheeses. So does Mrs. Action Line, by the way. Email questions to actionline@durangoherald.com or mail them to Action Line, The Durango Herald, 1275 Main Ave., Durango, CO 81301. You can ask for anonymity if your Christmas cards are sent by email.